Amalia has been a student and friend of Solihin and Alicia’s for many years. She recently started to assist and co- teach Ontologocal Kinesiology in Austria. She has recently moved to Spain and is practicing there. For further details please email her. As a pretty lazy medical student, rather distracted by an enormous lot of spare-time work, I first met Solihin in 1986. I was invited to watch him in one of his therapies. What I got to see and hear aroused both enthusiasm and scepticism. Only a short time later I attended the first seminar held by him and Francois Reynolds, which opened a completely new outlook for me and – as it turned out later – initiated a new path in my life. In my training as a Cranio-sacral Osteopath Solihin–apart from Leopold Busquet, Jean Gabarell and Nicette Sergueef–proved to be not only my most important teacher but also my later personal guide. In addition to many workshops in Austria–co-organised by me–I attended seminars in England, North Carolina, and Oregon. During my placement in Fulham Clinic in London I was accomodated by his family as their guest. As our personal contribution to the development of the worldwide Adhumanitas-network I see the diffusion of the ontological composure with a systemic mode of thought and the principle of resonance. Furthermore we offer courses of instruction, where also animals are involved in an ontological process of experience. Raimund Gaisbauer has been a close friend of Solihin and Alicia for many years. He has been sharing the continuously evolving work with them since the beginning of the development and has been working with Inner Dialogue since 1993. 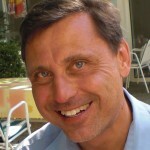 Inner Dialogue has accompanied Raimund at trainer and consultation work as well as in business work since then. Inner Dialogue – Ontology – Being Human, Kinesiology, Cranial Fluid Dynamics (Austria, Great Britain, USA). Academic Study Civil Engineering – University of Technology Vienna (TU-Wien) – graduation Diplom Ingenieur, Doctorate Degree. Academic Post Graduate Study in Business, Law and Economic Science – University of Technology Vienna (TU-Wien) – graduation Diplomierter Wirtschaftstechniker (DWT). Ontologische Kinesiologie. Schwerpunkt – Wirbelsäule, Bewegungsapparat, vegetativ somatische Beschwerden. Er ist Gründer der GESUNDHEITSPRAXIS Wien und Trainer der ARGE Kinesiologie. Silvia encountered InnerDialogue as a client in 1993 and started to learn Solihin’s work in 1996. She is trained in Cranial Fluid Dynamics, Ontological Kinesiology, Qi, Allergy.